Braves closer John Smoltz explained teammate Shane Reynolds' success - in Reynolds' 12th major league season. For Smoltz, according to The Associated Press, Reynolds' success came as hitters easily underestimated him. "This guy can flat-out pitch," Smoltz told The AP after another successful Reynolds outing in April 2003. "He's a pitcher that can frustrate opponents because they can feel like, 'Hey, I can get this guy,' and the next thing they know, they're 0-for-3." Over his 13 total major league seasons, Reynolds frustrated hitters enough to pick up 114 major league wins - including 19 for the Astros n 1998. He also made an All-Star team. Reynolds' career began in 1989, taken by the Astros in the third round of the draft out of the University of Texas at Austin. Reynolds started with the Astros with short-season Auburn and at single-A Asheville. He went 8-5 between them, with a 3.13 ERA. He then made AA Columbus for 1990, then AAA Tucson for 1992. In July 1992, he made his debut in Houston. Reynolds got into eight games, starting five for the Astros that first year. He gave up 20 earned in 25.1 innings of work. He then returned for another five games in 1993. In 1994, Reynolds became a major league regular. In 33 outings, 14 starts, he went 8-5, with a 3.05 ERA. He moved to starting full-time for 1995 and went 10-11, with a 3.47 ERA. 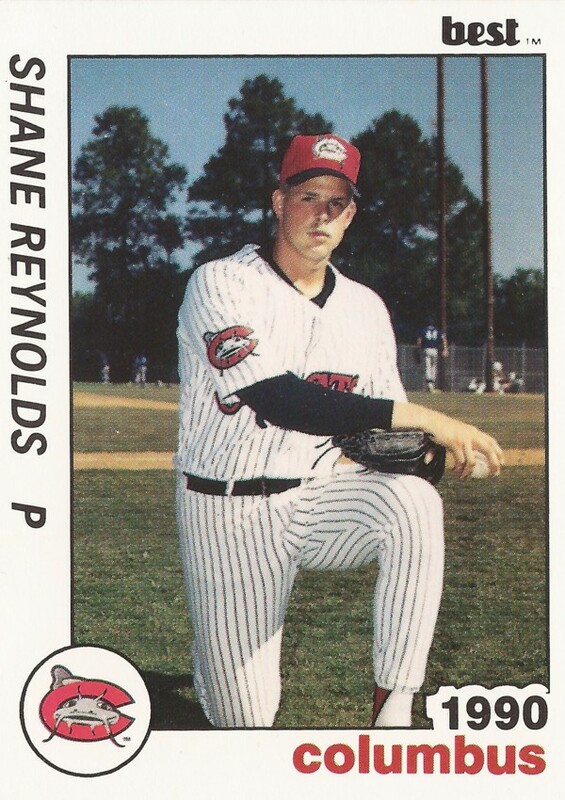 Reynolds went 16-10 with the Astros for 1996. His career high in wins came in 1998 with 19. 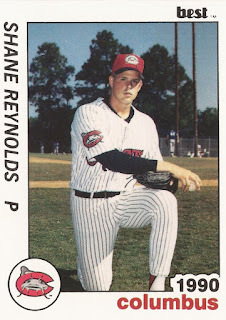 By early June 1998, Reynolds had a 7-3 record and he'd won four-straight starts. His fourth in that string came on his third complete game. Houston manager Larry Dierker told The AP afterward that Reynolds hung in the game, even without his good splitter early. "In the past when he didn't have his splitter he's had trouble," Dierker told The AP, "now he knows how to get guys out even when he doesn't have all his pitches." In April 1999, he took a no-hit bid into the seventh inning. "(A no-hitter) crossed my mind, I was thinking to throw one would be nice," Reynolds told The AP afterward. Reynolds stayed with the Astros through 2002, making the National League All-Star team in 2000. He moved to he Braves for his last big year in 2003, going 11-9, with a 5.43 ERA. His career then ended in 2004, with one final game played with the Diamondbacks.